I’ve been loving the latest trends in modern home decor. Who’s with me here?! I’m talking about thoughtfully crafted, interesting pieces that are carefully curated by discerning eyes at modern boutiqes (both online and actual retail spaces). Some of these shop owners make their own quality goods, while others pick out their favorites and cultivate a distinct style that shoppers are thrilled to discover, and grow to trust. 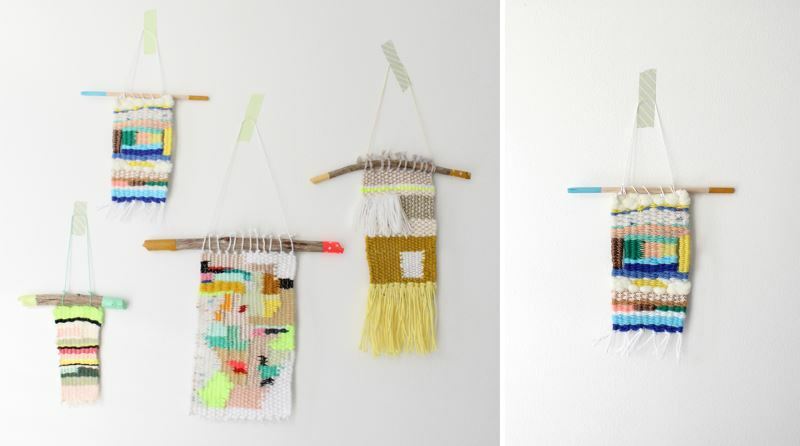 Today I’m featuring three of my favorite sources for amazing modern finds! 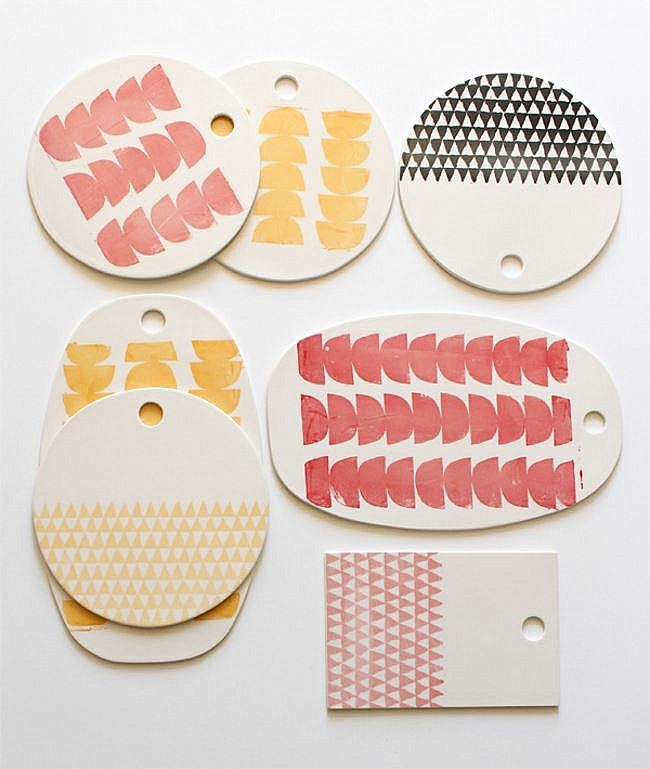 I first discovered Baba Souk through one of my favorite blogs, Design Love Fest. Founder and curator Stephanie states, “Baba Souk is a hub to present my own designs, some great handmade finds and to showcase & promote rad indie designers!” Her online shop is definitely a feast for the eyes, and spending time viewing the unique finds sparks my creativity. 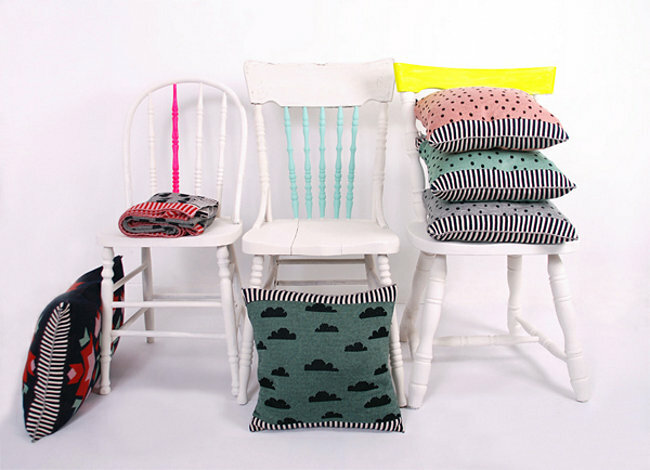 I’m currently smitten with the Partly Cloudy Sky Pillow, shown below with an array of other pillows. This item is the result of a collaboration between Stephanie and her friend, designer SHiliconfETTi°. 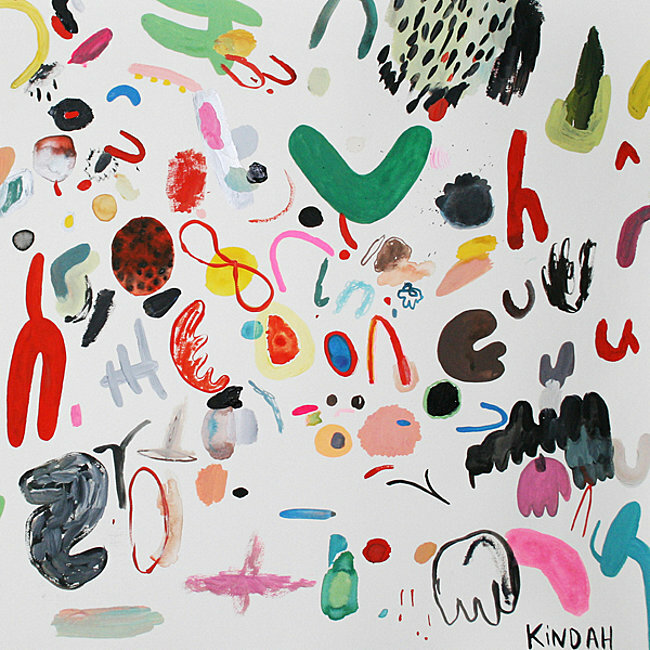 Shapes on a Plane #1 by Kindah Khalidy is one of those enthralling pieces of artwork that pulls you in and beckons you to notice something new with each viewing. 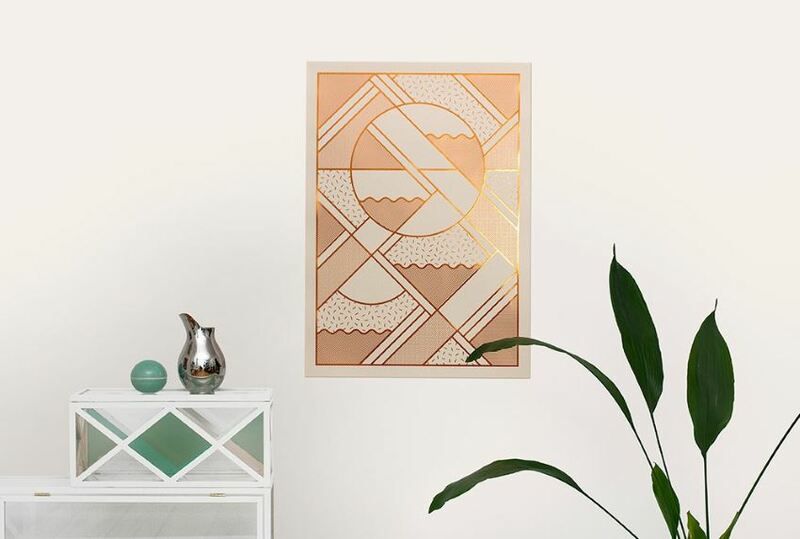 Thanks to Baba Souk, you can now enjoy Khalidy’s original pieces as limited print editions. 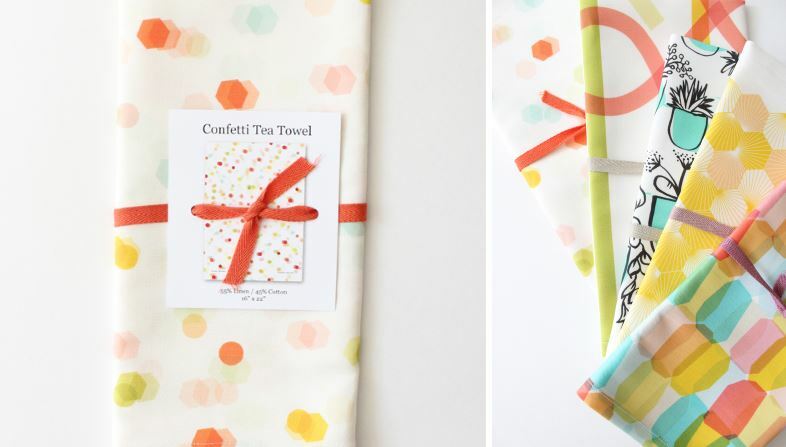 Bring contemporary style to the kitchen with an array of modern towels, such as the Confetti Tea Towel by Avril Loreti. 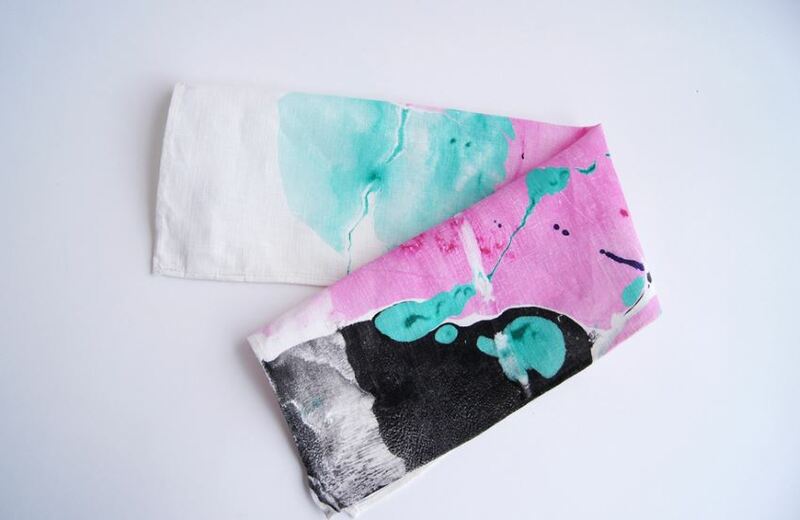 Perfect for a hostess gift or a breath of fresh air in your own culinary space, these linen and cotton towels are printed with eco-friendly water-based inks. 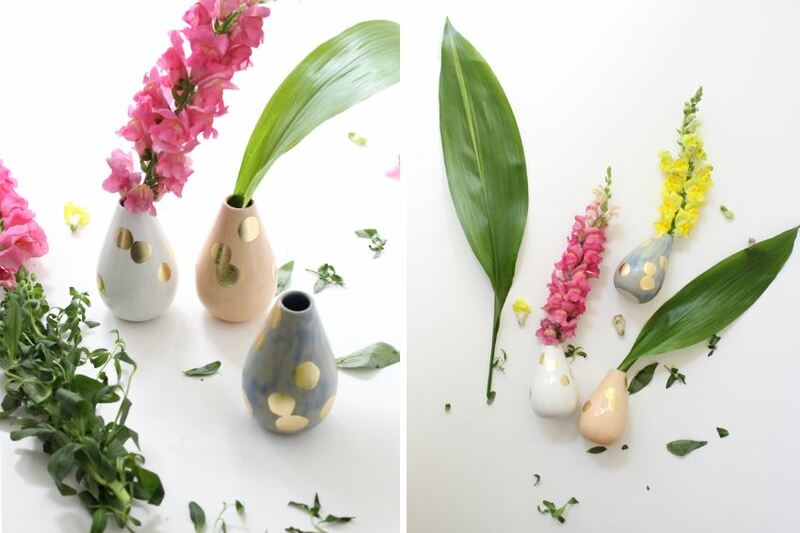 Dots, pastels and curved forms beautifully combine in these Teardrop Vases, handmade by Emily Reinhardt. 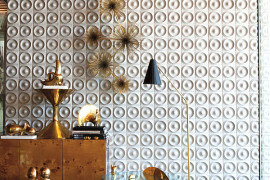 Let’s hear it for clay, glaze and gold leaf. These are pretty enough to display without flowers, but adding a bloom or two makes a big impact. Read more about Stephanie and Baba Souk here. 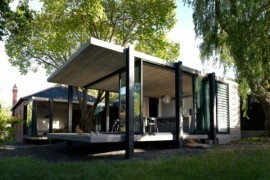 When you visit this online boutique, prepare to be inspired! 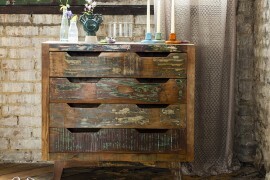 Another Design Love Fest Find: Wind & Willow Home! What began as a curated web shop turned into its own brand, thanks to the talents of owner/designer Araya. Here you will find a variety of gorgeous finds that celebrate bright colors, wooden surfaces, and the beauty of simple, modern design. 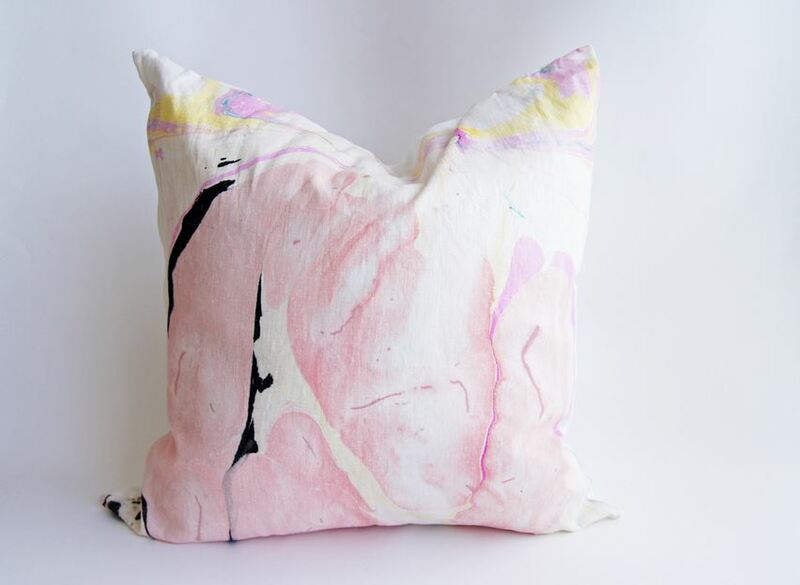 Marbling is also used to create the 24″ Hand Inked Pillow in the Sweet Dreams design, shown below. Is it modern art or a pillow? Definitely both! The wood items featured at Wind & Willow are every bit as enticing as the hand-inked products. 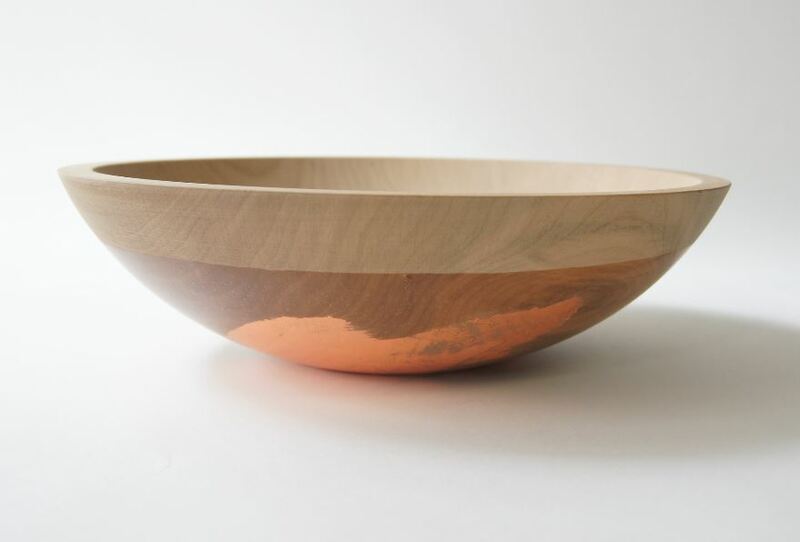 For example, the 12″ Cherry Wood Bowl in Copper or Silver (shown below) is both functional and stylish. Use this piece to serve salad and fruit. 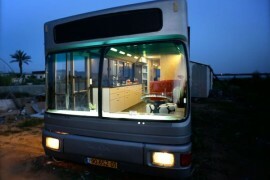 And of course, I believe that displaying it at all times is a must! A copper or silver leaf pattern decorates each bowl, and then it is dipped in a clear coat of food-safe rubber–a clever choice, since the rubber also makes the bowl a food-safe item! With bowls this clean-lined and charming, it’s hard not to order a set. 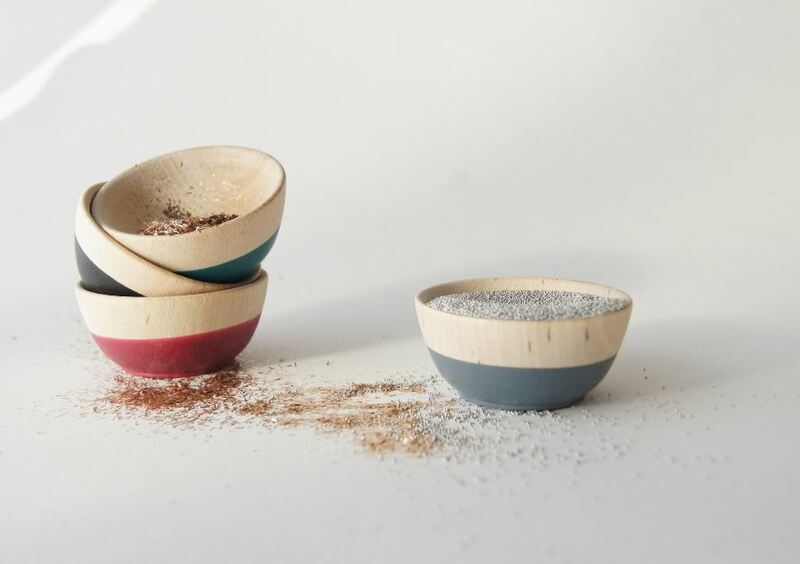 Especially when products like this Set of 4 Mini Bowls are available in seasonal colors. Place them on a shelf or tabletop for a dose of colorful style, or use them to hold spices as you prepare your next foodie delight. Once again, natural wood and soft rubber combine in design bliss. The offerings featured today are just the tip of the iceberg. 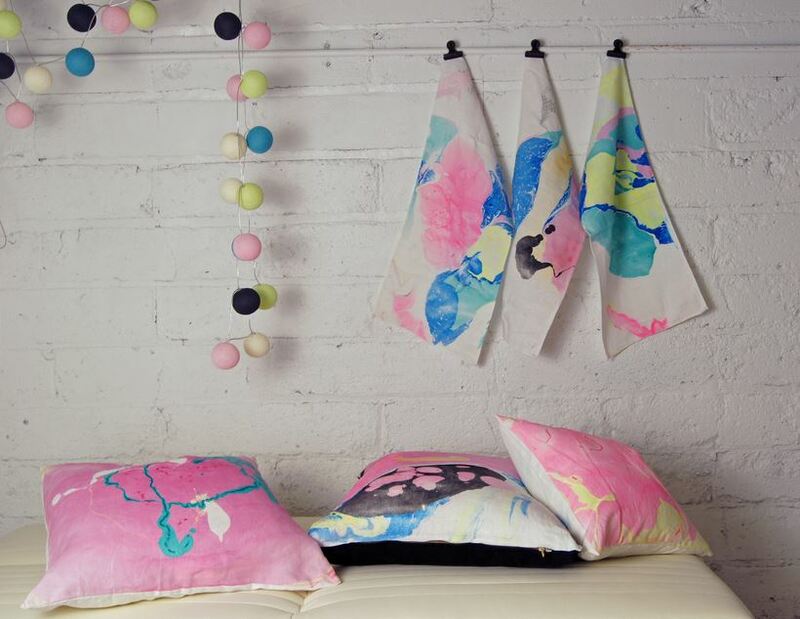 Be sure to visit Wind & Willow Home for the full range of beautifully designed finds! 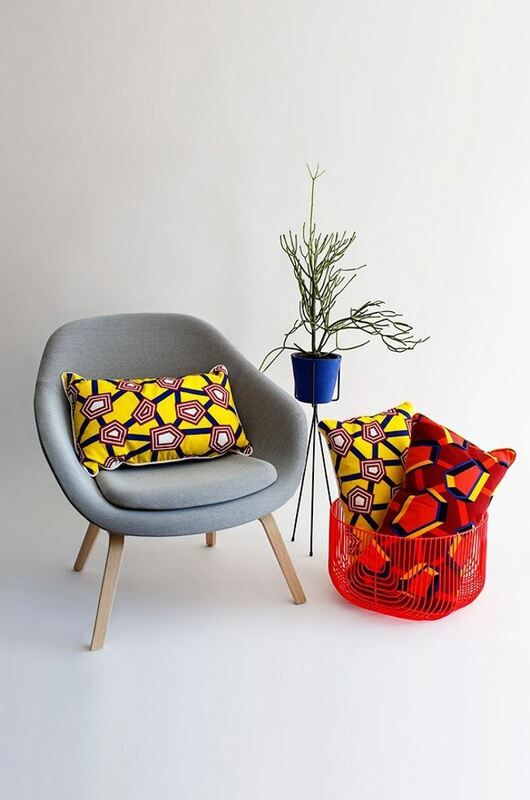 Renowned Memphis designer Nathalie du Pasquier has collaborated with Wrong for Hay to create this WRONG FOR HAY Full Cushion, shown below with the yellow WRONG FOR HAY Penta Cushion. And of course, both items are available through Nannie Inez! 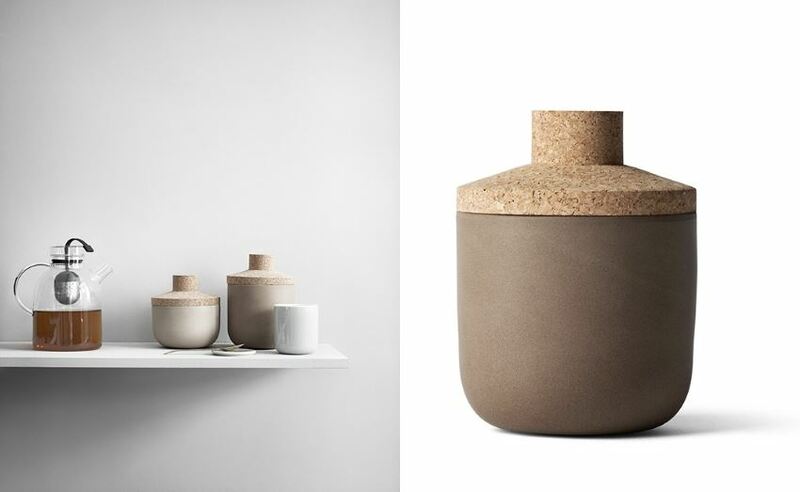 Both function and form take center stage in this Stone Storage Jar, complete with a cork lid that adds texture as well as style. The jars feature large openings that make the contents inside easily accessible. 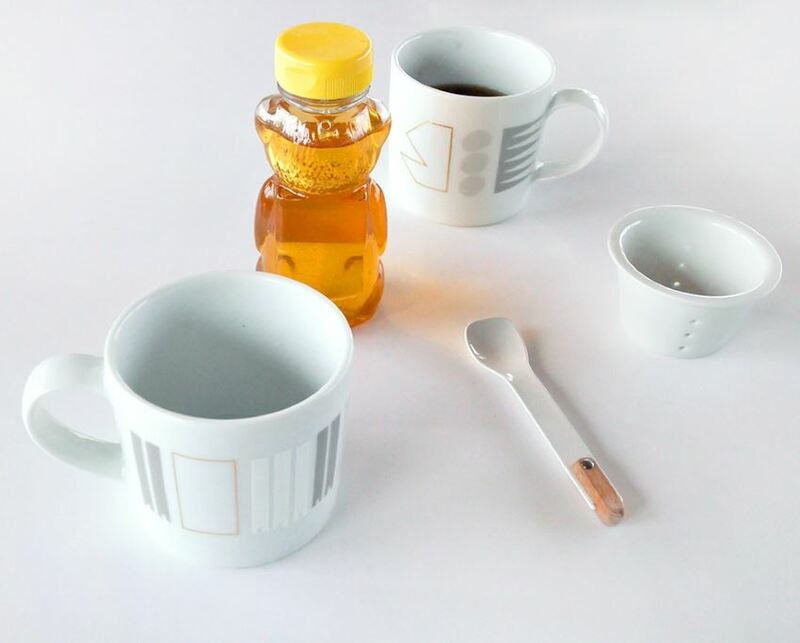 Artist and designer Alyson Fox brings geometric design to coffee time, thanks to this White Noise Mug Set. 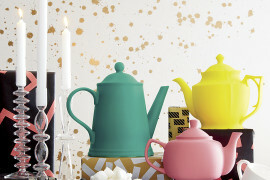 The neutral tones of the design make these pieces perfect for kitchens of all hues. Not to mention, these porcelain mugs are microwave and dishwasher safe! 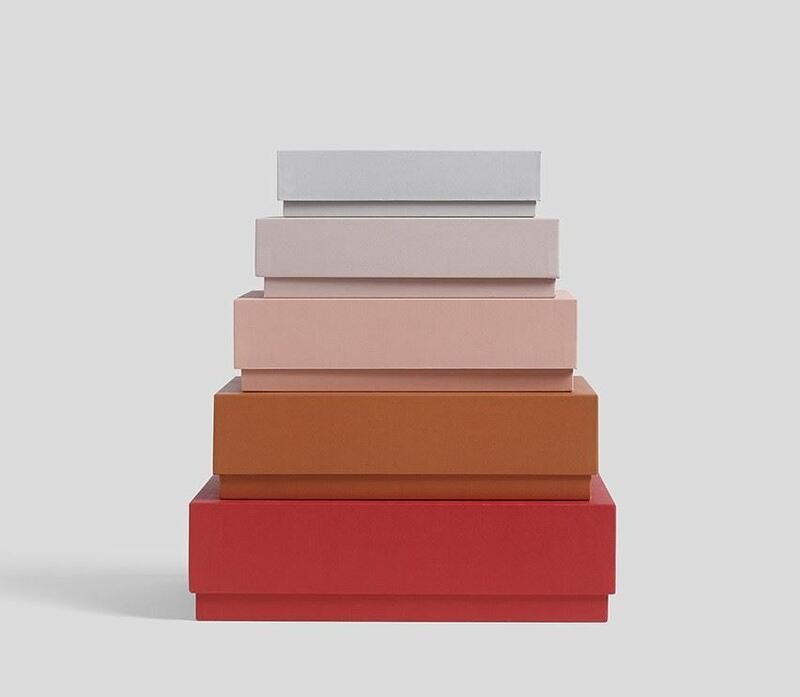 An ombre effect is created by this Hay Box Box Desktop in Red, which consists of 5 nesting boxes by Hay Denmark ranging in tones from red to blush. 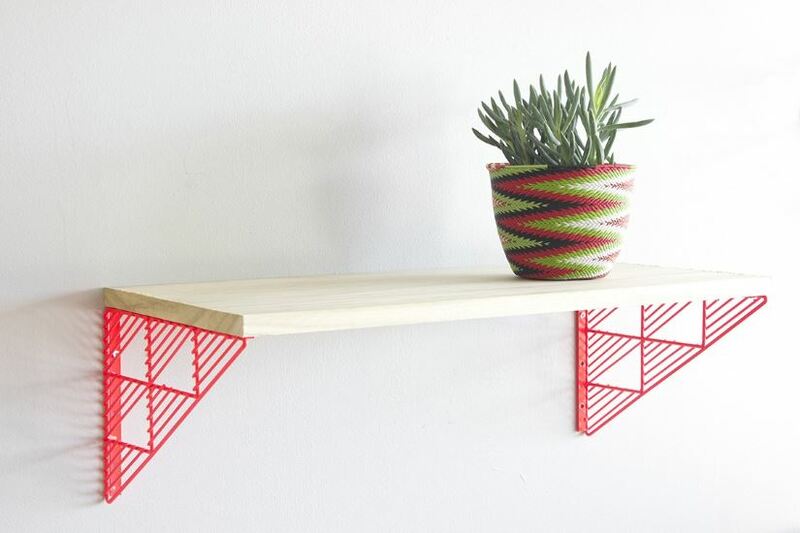 Store unsightly items and organize your desk in gradient-style perfection. 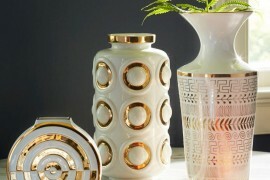 Be sure to visit Nannie Inez for more hand-picked items that celebrate unique modern style! 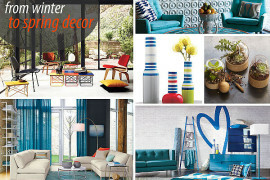 Thanks for letting me share a few of my favorite destinations for contemporary decor. These three sources prove it’s not just the product that matters–it’s the process of curating that can make all the difference!